A very open and vulnerable John Lennon - is that all there is? Every so often, I like to take a photograph and dissect it, as I did with "Dr. Smith Meets Mr. Spock." Maybe it's because I fancy myself a photographer. Whatever the reason, here I go again. 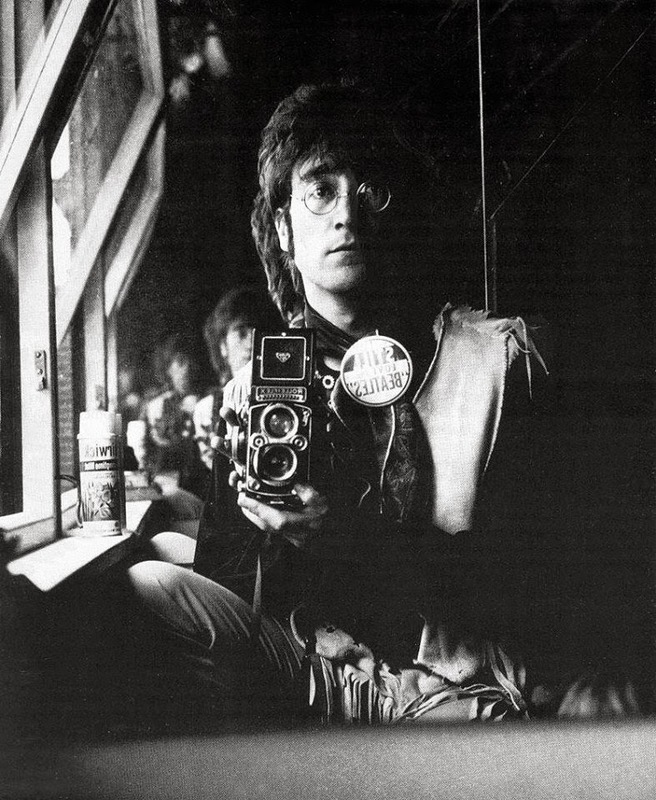 John Lennon took this selfie at his Kenwood estate on June 29, 1967. It's an interesting picture for a bunch of reasons. First, this was only a few weeks after the June 1, 1967 release of the Beatles' top-selling and best-received album, the iconic "Sgt. 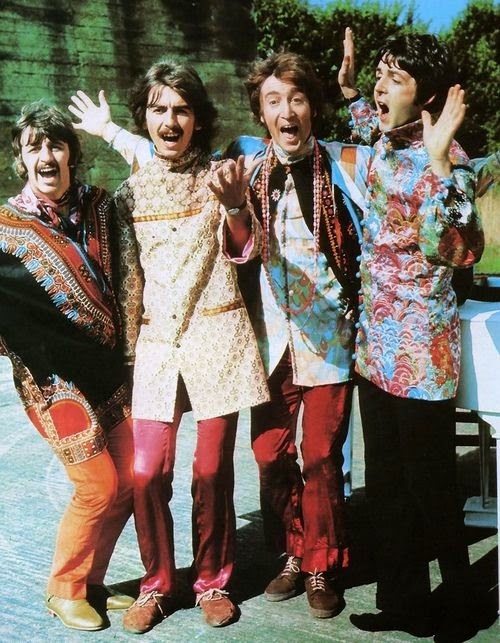 Pepper's Lonely Heart's Club Band." Lennon was at the absolute peak of success in his career at this point. You don't get any higher on the mountaintop than here, any musician, ever. The results were in, the album was at the top of the charts and would remain there for months. It would change the entire music industry and remains atop "Best of all time" album lists to this day. 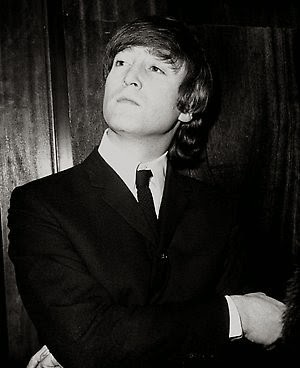 First, Lennon was a legend and almost god-like to his fans - and there he is. A moment in time caught and then left behind like the beating of the wings of an errant butterfly. His friend and mentor Brian Epstein would pass away less than two months later, and the moment would be gone. But everything was humming right now. You must remember, there are people who were on the street when Lennon walked by one day going shopping or whatnot, he casually looked them in the eye for just a glance as he walked on - and those people treasure that moment to this day as one of the great moments of their life. That's what it meant to be John Lennon on the day he took this. Second, he's alone. He is sitting in front of a mirror, alone, what appears to be a standard bottle of air freshener carelessly left nearby. Nothing better to do. I know you will think, "Well, that's perfectly normal." Yes, it is. But there he is, at the absolute pinnacle of an entire generation and movement and world popularity, and there he is - taking a selfie by himself in a dark room complete with the ordinary, mundane things of everyday life, practically screaming "I'm still just an ordinary guy!" It takes time and thought to come up with this kind of self-portrait, especially with a film camera that requires technical expertise. He must have been messing around with the camera and film and exposure settings and poses for some time, probably an entire afternoon, no doubt taking a bunch of shots until it came out just right. Then there was the bother of getting it processed and reviewing the results and picking one out, all by himself. Time, time, time, when he could have been out daytripping or getting high or romancing or something. It just seems to say something about what it all really comes down to in the end and where his (artistic) priorities lay. Third, somewhat incongruously, he's wearing a "Beatles Forever" button. There is a common thought that by this point the lads were getting tired of the group, arrogant, above it all, into other things and people and just waiting for a chance to break free. However, he chooses to wear the button, one that pointedly says "Still Beatles Forever." Quite an interesting choice. Is it ironic? Is it sentimental? Is it a mark of his sadness that the group had changed and he had lost control of it? Is he saying, as he did elsewhere, that this - this success, even Beatles success - is not where it's at? I think different conclusions can be drawn. He's most likely saying "Still a Beatle, always a Beatle, forever a Beatle - and I'm unhappy and unfulfilled anyway." Fourth, notice his expression. He is frowning. Why would he be frowning? He literally was on top of the world. Now, combine the frown with the Beatles button and the darkened room. John Lennon was a very, very clever man. Think he was making a statement there, and not just trying to be an artiste? I do. Fifth, notice how clean-cut he is. There is no scraggly beard, no evidence of drugs or a dissolute lifestyle, or any of the stereotypes of the rock n' roll era. The only connection to the public image are the granny glasses - similar to the ones he was wearing thirteen years later when he was gunned down, maybe even the same ones. He's just a guy, very ordinary, almost innocent and pure. Compare that with the publicity being put out at the time, such as the "Strawberry Fields" video, in which he is pictured as a too-cool-for-school oblivious rock God strolling amongst the People like a mysterious, aloof figure who is doing them a favor. There is none of that here, he is simply saying (and, as a selfie, that is exactly the right formulation) "here I am, this is the real me, not my public image." And he doesn't look all too happy about it. Seems like he is saying something about how empty all this fame really is. Sixth, it is a beautifully composed and framed photo, with the receding Lennons in the background à la "Citizen Kane" and everything else. Perhaps he was trying to convey that he was losing sight of who he really was, or that the public was, that his public image was eclipsing his heart. One only has to glance at this picture to realize that he was trying to say that there was depth to himself, and he was not just a media fabrication but a person with layers and depth. He certainly knew how to wield a camera, not a skill he was known for, and that in itself proves the point. Seventh, and finally, if you compare this picture to shots of Lennon during the Beatles earlier heyday, you see a profound difference. Earlier, he looked rough and almost brutal, while in the selfie he is soft and almost feminine. But even then, when he was not posing for the public, you could spot the softer side of a simple lad living his life amidst all the commotion. 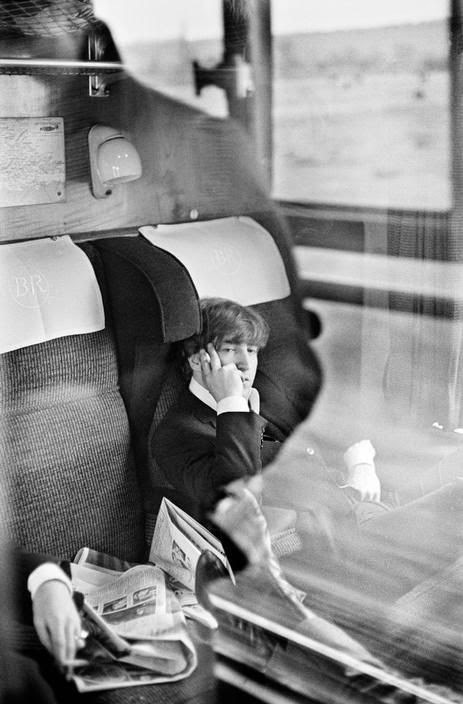 John Lennon relaxing on the train, in between takes, during the filming of 'Hard Days Night'. 1964. Lennon was a rough boy during the '50s, always getting into trouble in class. He still retained his rough edges until things exploded in the mid-60s. The selfie, on the other hand, is a picture of what fame and fortune had done to him, and again, combine that with his expression. He was trying to say something meaningful in one picture, and he did. I see this picture, and I understand better how Yoko Ono came along.